Translated by Google. Please, excuse any mistakes. I think there is a fine line that separates good musicians than to characterize truly great artists. The eternally respect and humility in the same Art and continuous introspection. When a year ago we addressed the question to Armenian outista and great composer, Ara Dinkjian about what it means for him personally oud, his response was to prejudice. "The oud became my main means of expression. I wish to say that the greatest Oud players and manufacturer was Armenian but not so. The most important musical instrument was a Greek, George Batzanos and best manufacturer also Greek, Manolis Veni. I am very lucky to have oud by Manolis aged over 100 years. 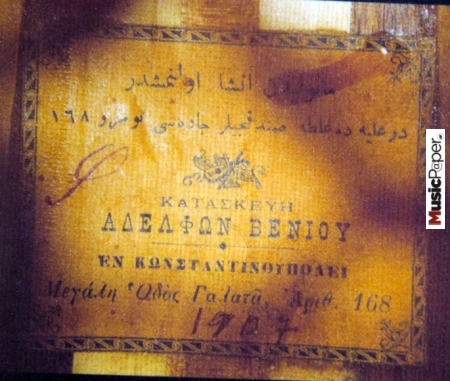 Recently, I gained an oud from 1907. I took it and went to the studio for the first time completely unprepared for what I wanted to do. Just improvised for one hour. I left the institution itself to tell me his story. Who played with this, which countries he traveled over what music scenes found next to what musicians, whom he accompanied singers. The oud Manolis Veni were usually made for professionals so they know that accompanies a deep history. I think to publish on cd this recording. We will dedicate the manufacturers of musical instruments, because without them, we do not have the means to express ourselves. " 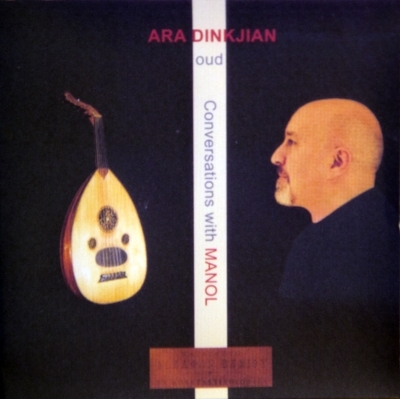 The words of Ara Dinkjian not only reflected in the hearing of «Conversations with MANOL», who long ago came to the international market. 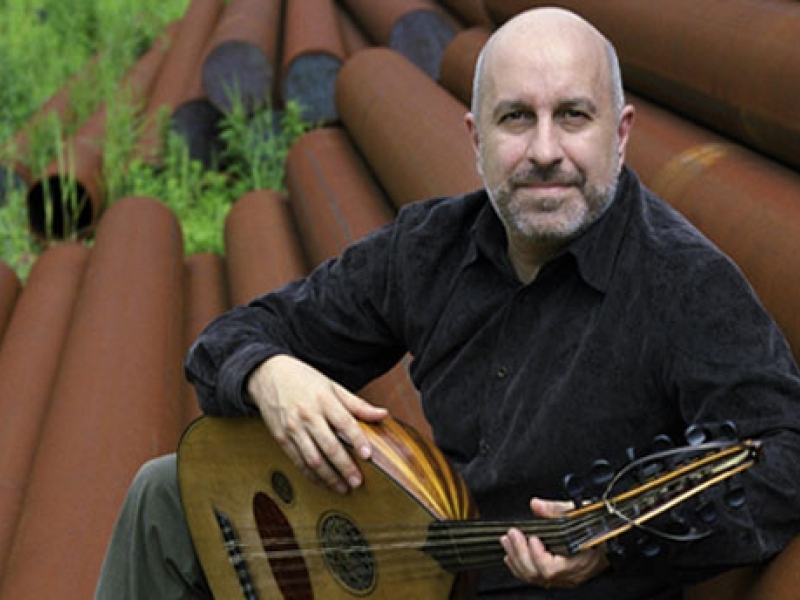 In addition, they describe in the most profound way and revealing the beauty of respect and gratitude artistic yielded the Armenian -spoudaios- musician to master builder of oud. It is a sound seductive, mystical hue and apostomotikis simplicity, calling -with the order of at the listener in an in-depth conversation with the promise of healing. It is really impressive how the Ara Dinkjian reveals here the very soul, without any deliberate attempt to evade. Simple and austere. I think that at times the chores, we all finds this so special sensitivity with which deepen the essence of melody and narrative of a song. But I am almost sure that there is no previous example of this from the first to the last second confession. I understand that this man has closed his eyes, is faced with the imaginary interlocutor and wander along and other bygone places. Until sometime you lose and you check, since you are in your own conversation with far more profound and true. Not at all incidentally, Manolis Veni considered of the greatest musicians of space, the best and most famous oud manufacturer in the East! Born in 1829 (according to other sources the birth year is 1838) and died in 1915 in Istanbul. He was self-taught and had won awards in international shows (Paris and Athens), and won the admiration of Greeks and Turks (called him "Ust Manolis"). The "Magnolia" has introduced innovations in the construction of the instrument, such as vessel size, the materials of construction, number of strings, even in the timbre. The workshop was "In Constantinople, long road of Galata, no. 168". The oud are characterized by homogeneous, clear and refined sound and high manufacturing quality.